3.00X Tortoise is not available at this time. Relieve eye strain with this combination of light and magnification. 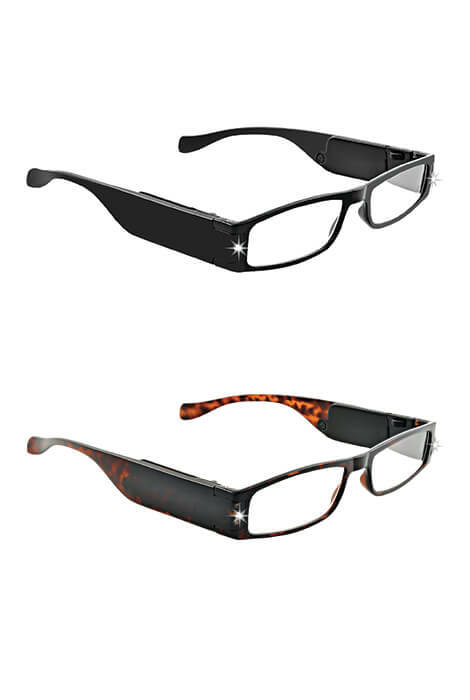 Polycarbonate Lightspecs® lightweight LED reading glasses are ultra lightweight for hours of wearing comfort. 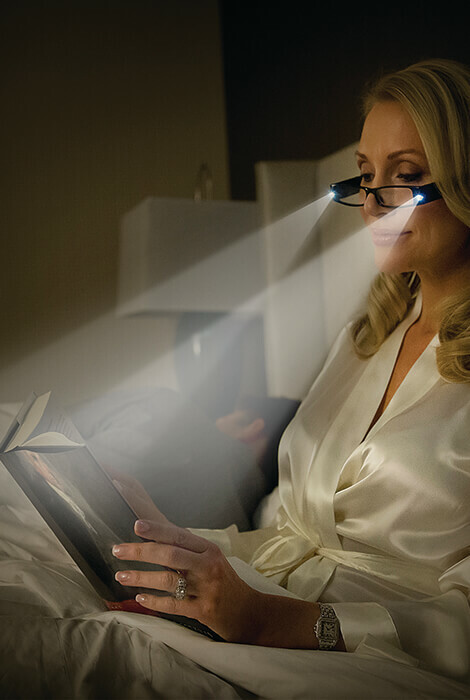 Bright LEDs are built into the lighted reading glasses for focused light and reading ease. Ideal for reading in restaurants, in bed, during travel and more. Included replaceable button-cell batteries last 50+ hours. Stylish universal glasses with lights are available in black or tortoise. Specify magnification: 1.00X, 1.25X, 1.50X, 1.75X, 2.00X, 2.25X, 2.50X. 2.75X, 3.00X. Button-cell batteries last 50+ hours (included). Stylish universal frames are available in black or tortoise. Specify magnification: 1.00X, 1.25X, 1.50X, 1.75X, 2.00X, 2.25X, 2.50X. 2.75X, 3.00X. His broke his that he got at CVS. Just googled and picked you.